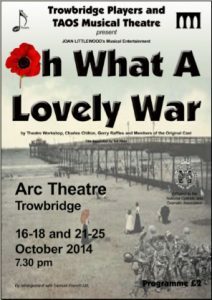 To commemorate the 100 year anniversary of the outbreak of World War I Trowbridge Players and TAOS Musical Theatre joined forces with a colourful and poignant production of Joan Littlewood’s Oh What A Lovely War. 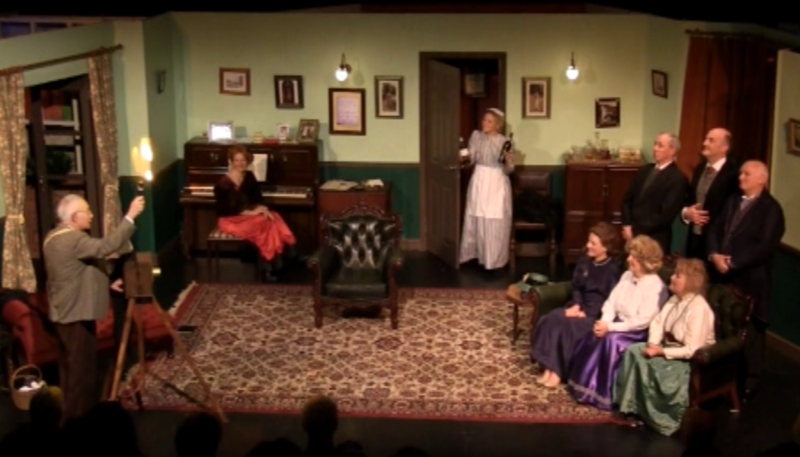 Well-known to many for its jaunty songs and fast-paced action, Oh What A Lovely War is not only a highly entertaining piece of theatre, it also turns a sobering and sympathetic spotlight on the horrors of World War 1. Whilst celebrating the bravery of the millions who lost their lives, the play asks its audience to consider the less patriotic aspects of the Great War – the profiteers who made their fortunes from other people’s sacrifices, and the generals, motivated by ambition and dogged by ignorance, who led so many innocent young men to slaughter.